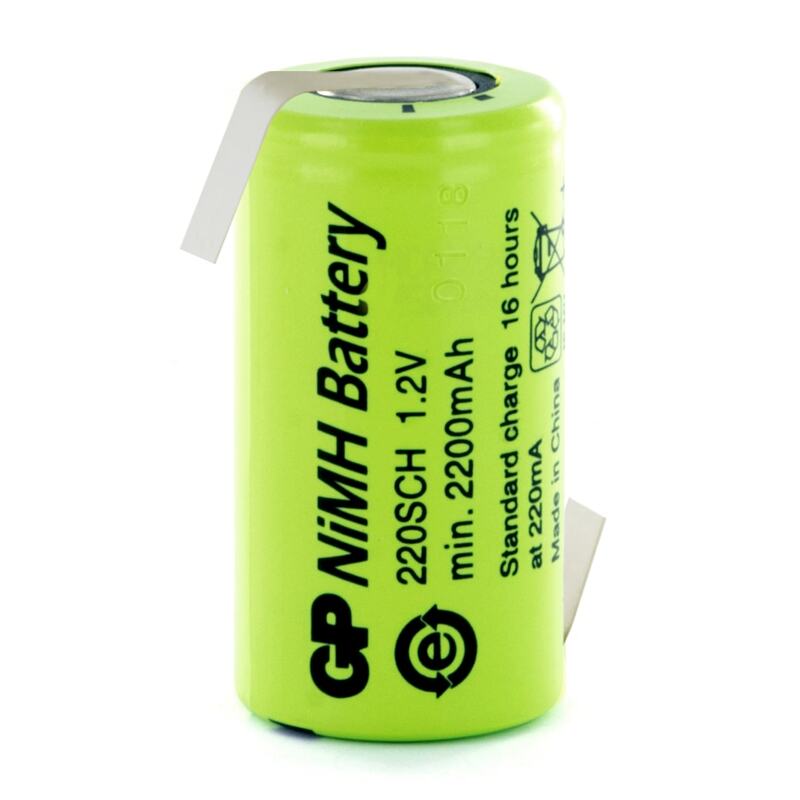 The GP220SCHHB rechargeable battery with opposite tags is Sub C size and is 2200mAh. 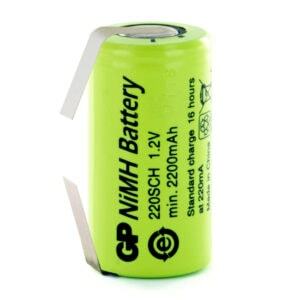 These batteries are made by GP. Battery was fine, charging ok. Would have preferred more robust tags for my application as those fitted were rather flimsy. Overcame this issue by soldering a predrilled tag. I needed some Sub C Ni-MH batteries to replace those in a hedge trimmer. These have shown they are of a good quality and were easy to replace with the attached solder tags. I needed some sub C Ni-MH rechargeable batteries and found some on the cell pack solutions web site. Their service is second to none and delivery super fast. Well done. I know where to copme next time. The batteries (GP) are great and the price good.